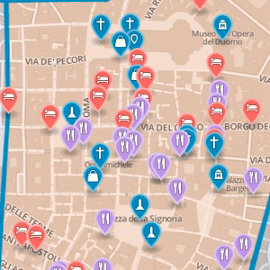 In Florence, it’s tough to find a decent standard hotel in the historic center for less than €120. 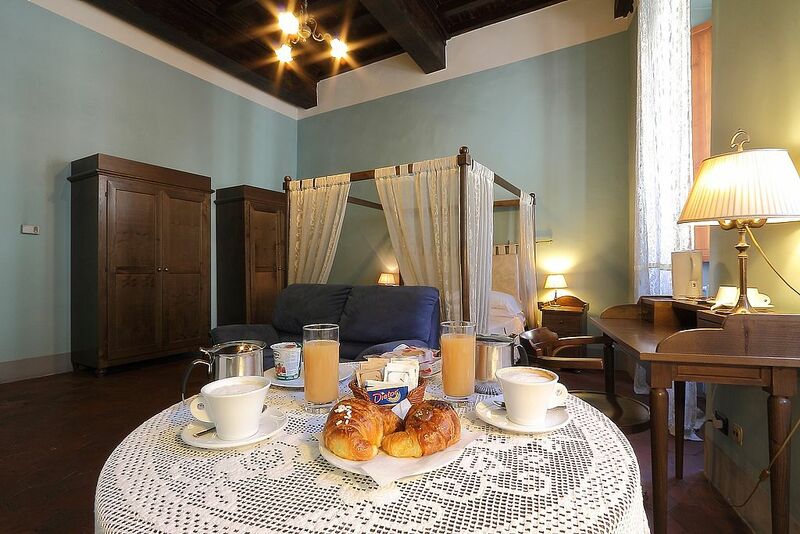 So rooms at the Proconsolo—starting at €100 list, but down to €90 if you book online—are not only a good deal, they also come with the decided advantage of overlooking Brunelleschi's cathedral dome…and they do so from the canopied beds and high ceilings of a genuine Renaissance palazzo. And you get breakfast in bed (or at least in your room). No hotel even can match that. Signor Mariano and his wife have long run a resort hotel on the Amalfi Coast, but wanted to raise their children in a city with better schools and a vibrant cultural and intellectual life. That meant wintering in Florence. In 2000 they rented (then in 2004 bought) this gorgeous palazzo on the southeast corner of the Duomo square (and a few hundred yards up from the Uffizi; in short, a near-perfect location) that had once belonged to the Pazzi family, infamous for trying to assassinate the young Florentine prince and art patron Lorenzo "The Magnificent" de' Medici in the 15th century. The Marianos renovated the palazzo themselves and now rent out five rooms of the old piano nobile (the "noble floor" of the building, usually second story, where the aristocratic family had their private quarters). They hung some modern abstract art on the walls, but otherwise the décor is full-bore Renaissance. 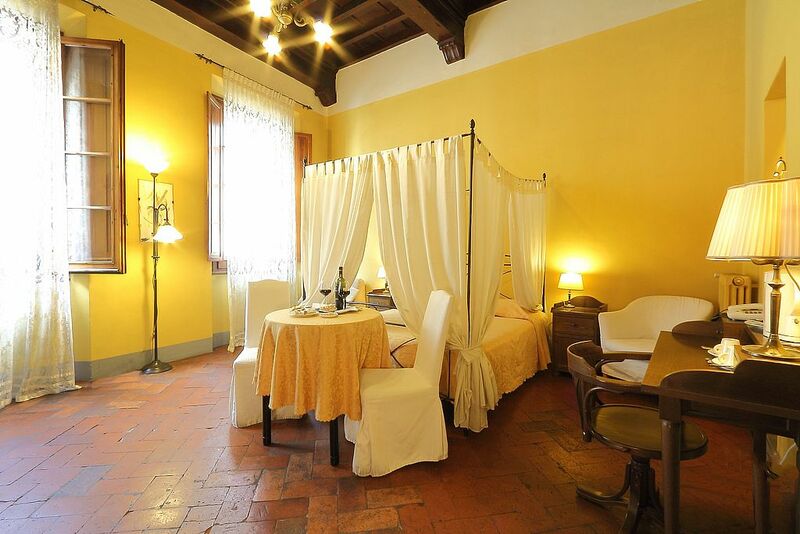 The best rooms—"Leonardo," with its canopy bed and tall windows, "Brunelleschi," with a poster bed and wrought-iron balcony—are on the front with high ceilings of thick wood beams and views of the cathedral a few dozen yards away. The "Michelangelo" room is the largest, with old hexagonal floor tiles, another canopy bed, small marble fireplace, and a squishy sofa that's comfy but sort of spoils the décor (or perhaps makes it more homey). The "Botticelli" and "Dante" rooms are both on an interior courtyard (more like giant air shaft, really).